health facilities and abysmal quality of services in the federal capital on Monday directed for provision of quality health services to the dwellers of Islamabad and its adjoining areas. government health services being provided in Islamabad Capital Territory and to formulate immediate interventions to improve the coverage and quality of government health services. being managed by the Capital Development Authority, the ICT Administration, and the Capital Development and Administration Division, the meeting took significant decisions for improvement in the health facilities in the Federal Capital. finalize the upgradation of these dispensaries to MCHs and establishment of new MCHs. MCHs and will be attached with the PIMS. The remaining BHUs / RHCs will be attached with Polyclinic, the meeting decided. Graduates to BHUs, RHCs and MCHs. ICT will provide vehicles to facilitate doctors at BHUs and RHCs. Besides, PIMS will provide missing facilities at BHUs and RHCs in addition to arranging medical specialists in ICT’s Mother and Child Hospitals. Polyclinic to examine patients on special arrangements in CDA MCHs while the Federal Government Hospital in Chak Shahzad, under the Cabinet Division, will also be properly operationalized and upgraded, the meeting was informed. MCH in each sector of Islamabad and no delay will be tolerated in this regard. These Centers will be established by hiring buildings and adequate staff along with necessary equipment and technical assistance.The Mother & Child Hospitals will be affiliated with Polyclinic and PIMS for the purpose of human resource allocation as well as expertise. service structure introduced by the Government of the Punjab will be adopted for doctors working in health establishments under the control of ICT Administration, CADD, CDA or any other relevant federal government body. contract basis. For this purpose, the ban on employment will be withdrawn. Additional posts of doctors and medical staff, where needed, will also be created and special funds will be provided to MCHs, BHUs and RHCs on the basis of their performance according to specific evaluation criteria. of record at BHUs, RHCs and MCHs will be provided by NADRA as part of its CSR, the meeting was informed. which will include a 50 bed Burn Centre; an improved Mother and Child Centre; a new 200 bed Gynecology Centre; a new Trauma Centre on the model of Punjab; a new OPD of 150 consulting rooms (catering for 3000 consultations); 200 bed Children’s Hospital with a 50 bed central ICU; and a new Operation Theaters Complex. machines for dialysis centre which will be operationalized within two weeks. Besides, the management of PIMS will submit a proposal for hiring of Specialists for liver transplant within a week. cater for all hospitals in ICT, the meeting decided. to upgrade 17 dispensaries of Polyclinic. The meeting approved one CT Scanner and one MRI machine for Polyclinic. The meeting decided to fill all the vacant posts of doctors and paramedics in next two months. Administration Division, the meeting decided. increased concentration of people from adjoining areas. 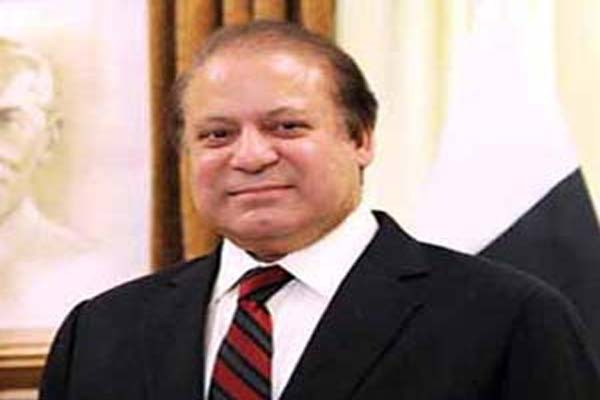 of the Prime Minister to provide affordable and quality health services at state of the art health infrastructure in Islamabad for not just the residents of the Federal Capital, but also for patients from Khyber Pakhtunkhwa and adjoining districts of Punjab as well as residents of Gilgit Baltistan. Mayor Islamabad Sheikh Ansar, Chairman CDA Mahroof Afzal, Chief Commissioner Islamabad Zulfiqar Haider, Dr. Javed Akram, Vice Chancellor PIMS, Dr. Amjad, Executive Director FGSH and other senior government officials.